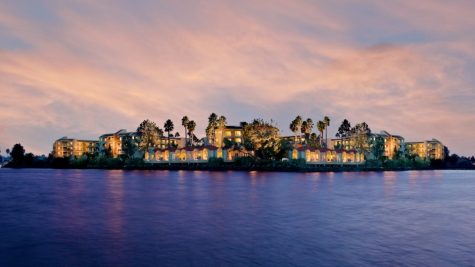 Confession: when I was invited on a recent trip to Loews Coronado Bay Resort, I had never heard of Loews and figured the hotel must cater to business-folk. Then I saw their “Loews Loves Kids” program. Then I saw their expansive deck area with three pools (one of them just for kids), ping pong, humungous Connect Four game and over-sized chess board. For the first time in my life (cough), I was wrong. Loews Hotels operate 18 AAA Four Diamond hotels in U.S. and Canada and hopes to double their numbers in the next few years. With such ambitious expansion plans, I was glad to have my first taste of Loews in the idyllic seaside community of Coronado Island on a 5.3-square-mile peninsula across from San Diego. 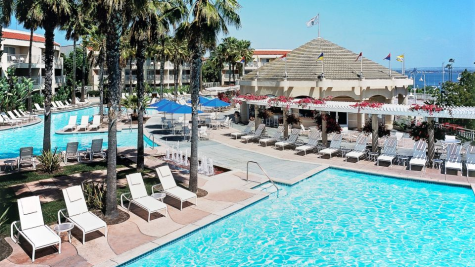 Although there are approximately 2,000 lodging rooms available on the island, Coronado has three main hotels: Loews Coronado Bay Resort, the Hotel del Coronado, and the Coronado Island Marriott Resort & Spa. I’m not just saying Loews loves kids—that’s actually the name of their program! 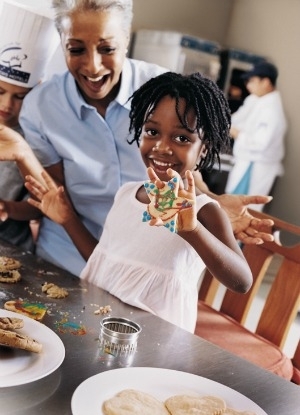 As part of Loews Loves Kids, children ages 4-12 can delve into a variety of creative and sporty activities. They include a marshmallow roast, family cooking classes, dance lessons (jazz, funk and hip-hop), and family snorkeling. Kids and parents can enjoy poolside “Dive-in Movies” from lounge chairs or innertubes in the pool. They can also snack on hot dogs and popcorn are also available. Many activities at this Southern California resort are only offered during the summer – their peak season. However, I was pleased to learn their Kids’ Club (designed by Pottery Barn Kids) is offered daily from 9 a.m.-5 p.m. ($40 for a half-day and $80 for a full-day). While Mama and Papa take in Coronado’s sights and flavors (Coronado Taste of Oils is a must-visit), the kids will stay plenty occupied. Arts and crafts, field trips, a face painter, magic shows, pool play, and more mean great fun for the kids. The only caveat during the off-season is Kids’ Club must be booked 24 hours in advance. 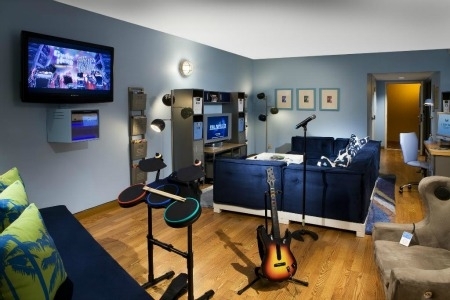 For older kids, Loews has a Teen Lounge and Teen Spa Room designed by Pottery Barn’s PBteen. They also have Coronado Surfing Academy for surfing and stand-up paddleboard lessons. Loews Coronado has 21 beautiful parks, 24 miles of paved trails and 28 miles of beaches along the San Diego Bay and the Pacific Ocean. Whether your family loves to swim, surf, sail, kayak, fish, paddleboard or kite-board—there is something for everyone. Or you could just choose to never leave Loews and your family would still have the time of their lives. In addition to the three outdoor swimming pools, Loews has lighted tennis courts plus bicycle, Rollerblade, waverunner, sailboat, motorboat and paddle boat rentals from on-site Action Sports Rentals. Parents who want a romantic interlude should check-out The Gondola Company, with romantic gondolier cruises through the enchanting Coronado Cays. And of course, there is the beach! Loews overlooks the San Diego Bay but a five-minute walk via a private pedestrian underpass will take you to Silver Strand State Beach. In addition to sand and water play in the Pacific Ocean, the Junior Rangers Program offers free outdoor activities Saturdays from 3:30-4:30 p.m. for ages 7-12. The state park’s Campfire Program is also a big draw every Friday from 6-7 p.m.
* Complimentary “Loews Loves Kids” gift bag presented upon arrival for children under 10. * Children’s menus in the restaurant and for room service, and availability of high chairs and booster seats. Also, mini bars with juices and other child-friendly snacks. * Children under 18 years of age stay free (when sharing a room with their parents). * Availability of cribs and roll-away beds. * Availability of child-proof kits for families with children under age 4. * Listing of nearby tourist attractions and activities geared to children, as well as nearby pharmacies, pediatricians and bonded babysitting services. * On-loan “mini-gym” equipment featuring the Fisher-Price Smart Cycle. Using plug and play technology, the stationary Smart Cycle combines physical play with learning, allowing preschoolers to pedal while problem-solving with multiple software programs such as Dora’s Friendship Adventure, Sponge Bob’s Ocean Adventure and Barbie Fairytopia. Next time: my kids will be present. With such great efforts to cater to kids, I look forward to putting Loews Coronado Bay Resort to another test! Loews has resorts all over North America but some of the most family-friendly locations include Ventana Canyon in Tucson, Arizona, Loews Don CeSar Beach Resort in St. Petersburg, Florida. and the Loews Hotels at Universal Orlando, Florida. 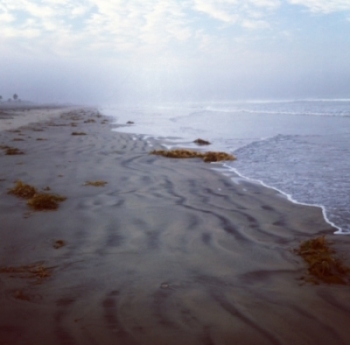 Have you ever been to Coronado Island? What are your favorite activities? Let us know in the comments! A Note from The Outdoorsy Travel Mama: A special thanks to Loews for hosting me! Is it wrong that as a grown man I want to hang in the Teen room…they have it made in there! Amber – So true! Kids are so lucky to have all of these awesome hotel clubs & ammenities designed just for them!